16th International Union against Sexually Transmitted Infection (IUSTI) Asia-Pacific Congress, May 4 - 6, Bali, Indonesia. 28th Annual Meeting of the European Society for Pediatric Infectious Diseases (ESPID), May 4 - 8, Nice, France. 3rd Annual Advanced Management Issues in HIV Medicine, May 13 - 14, Ohio, USA. 2010 International Microbicides Conference (M2010), May 22 - 25, Pittsburg, USA. 6th International Workshop on HIV and Hepatitis Co-Infection, May 31 - June 2, Tel Aviv, Israel. International HIV & Hepatitis Virus Drug Resistance Workshop and Curative Strategies, June 8 - 12, Dubrovnik, Croatia. 2nd International Workshop on HIV Pediatrics, July, 16 – 17, Vienna, Austria. 5th International Workshop on HIV Transmission - Principles of Intervention, July 15 – 16, Vienna, Austria. XVIII International AIDS Conference 2010, July 18 - 23, Vienna, Austria. IGNOU: 7th Annual National Seminar on Social work and HIV/AIDS, August, 19 - 22, Kuttikkanam, Kerala, India. HIV SCIENCE 2010: 3rd Annual Science Symposium on HIV/AIDS, August 27 - 28, Chennai, India. 14th International Congress of Immunology, August, 22 - 27, Kobe, Japan. 2010 Interscience Conference on Antimicrobial Agents and Chemotherapy, September 12 - 15, Boston, USA. International Conference on Opportunistic Pathogens in AIDS, September 27 - 28, New Delhi, India. 1st International Workshop on HIV & Aging, October 7 - 8, Washington DC, USA. 3rd Botswana International HIV Conference 2010, October 13 - 16, Gaborone, Botswana. Keystone: Immunological Mechanisms of Vaccination, October 27 – November 1, 2010, Seattle, USA. 2nd International Workshop on Adverse Drug Reactions and Co-morbidities in HIV, November 4 – 6, London, UK. 41st Union World Conference on Lung Health, November 11 - 15, Berlin, Germany. 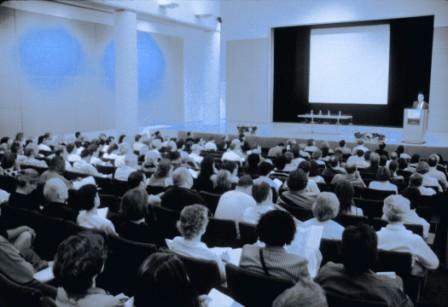 6TH IAS Conference on HIV Pathogenesis, Treatment and Prevention, July 17 – 20, 2011, Rome, Italy.